The Third Methodist Church was organized in 1842 at 3 Clinton Ave. In 1880 the congregation was dissolved and the church was soon after occupied by the Young Men's Christian Association. The presiding elder at the conference of 1880 stated that the church had been closed with tears, but that all debts had been paid. He went on to say that placing two Methodist churches so near together (Central Methodist) was a mistake. In 1903 the YMCA moved to Halsey Street and the church was demolished. The Union Building was built on the site. 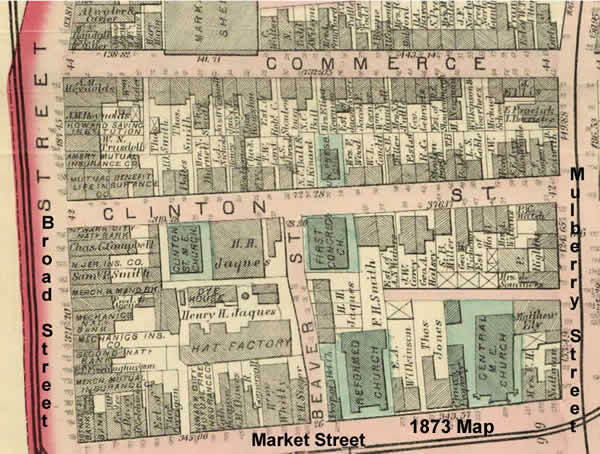 The records of the Clinton Street Church are believed to have been burned in a great fire in 1900 which consumed the Snyder store where the records were being kept. The records are believed to have been destroyed by fire in 1900. Records are located at Drew University.